“The era of manufacturing and farming is giving way to one of knowledge work,” says consulting firm Journyx in a piece titled “Why project accounting?” And as the predominant kind of work has evolved over time, the knowledge of costs has evolved with it. “Hunter/gatherers knew costs implicitly. Farmers invented simple accounting and writing systems to track trades and debt, and understood cost accounting. 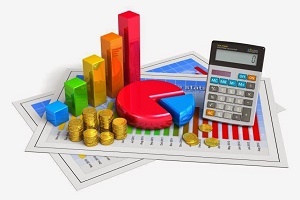 Manufacturers require materials cost accounting,” observes Journyx. However, “most knowledge worker organizations do not know costs on a per-project basis at all.” The nature of our work may have become more sophisticated, but the business world has gone backwards in terms of its understanding of project costs. And history has shown that this knowledge is implicitly necessary for the efficient running of a business. In response to this need, companies are increasingly making use of project accountants. A person with this job title tracks the financial progress of a particular project and develops financial reports that can be used to manage the project. They help companies understand the costs that were incurred by a certain undertaking. Their ultimate goal is to break down productivity into bite-sized, measurable units – that is, to determine per person, per project profitability. If a project accountant is doing their job effectively, the project manager or CEO of the company should be able to see at a glance where the most productive aspects of the project are, who the most productive people are, and what makes the project either a good or a bad investment. A project accountant’s work helps you plan for the future and ensures you don’t make the same mistakes a second time round. But in a world where knowledge workers are accustomed to knowing less about individual costs than workers from previous generations, project accountants face some pushback in rolling out their responsibilities. Employees are “too busy” to report time. In order to get an accurate per unit cost overview, a project accountant needs those involved to track their time. But excuses for not doing this run thick and fast. Some senior employees on the project feel they don’t have the time to stop their productive pursuits to fill out a time sheet. Others may deliberately try to avoid this for fear of being discovered that they are not as productive as they ought to be. The project accountant needs to ensure that the project manager trains those on the project and obtains their buy-in upfront to fill out time sheets. The argument that time is a bad measurement of productivity. In many cases, this is true. Project managers need to ensure they reward employees on overall output rather than a metric that may or may not be a good measurement of this. This is where the project accountant’s expertise comes in. They need to manage the measurables in order to help them deliver the most useful data and metrics. Making use of a good project accountant will ensure that projects in your business have a well-defined budget, stay within budget and make the most efficient use of resources. In the current environment of climbing interest rates and a weak currency, you can’t afford not to hire one for your noteworthy projects. If you are looking for a top class project accountant look no further than The Finance Team. You will be able to choose from our impressive team of highly qualified, experienced finance executives to find the person who will provide exactly what your business needs for the period of time you need it.